What kind of product and company ethos would emerge from the profound combined knowledge and experiential depths of two talented engineers and music lovers with a lifetime in loudspeaker design excellence? What would result from such a brilliantly accomplished alliance? The answer lies in the rebirth of Axis Loudspeakers from Australia. A renaissance brought about by the unlikely union between once formidable rivals. Yes, competitors John Reilly and Brad Serhan form an association, a coalition of excellence. Axis loudspeakers exhibit superlative craftsmanship with exceptional build quality. We believe that they are accurate instruments that are the result of our absolute dedication to realistic music reproduction. This is a view with which reviewers and critics around the world wholeheartedly agree. Axis loudspeakers are an embodiment of the love of music and fervent passion of the designers. John Reilly and Brad Serhan have skilfully voiced the speakers to satisfy the most demanding listener – whether audiophile, music lover or professional sound engineer. When it comes to audio purchasing, we know that an individual’s passion and discernment play a major role. This is the reason we design and manufacture to a standard, not to a price. Observing this principle means that we can be confident that the product will reflect the best possible performance and build quality. A self-taught drummer since the age of nine, John Reilly’s musical curiosity arose from the influence of his father who played steel guitar in a Hawaiian band. John’s love of music led him to a long career in the audio industry. He has had successful stints in retail and was a partner in a major Australian audio distributor which represented a number of global brands some of which included Bose, Acoustic Research, McIntosh, Velodyne and many more. 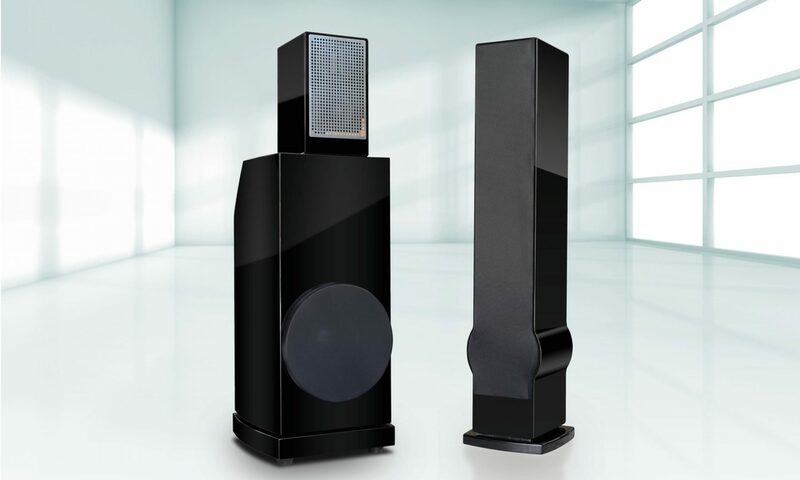 John started Axis Loudspeakers and evolved the product range to include several high quality stereo models and a number of speakers and subwoofers designed for home theatre applications. He is extremely proud of the fact that all models offered by Axis at the time were recipients of Awards for excellence. After a hiatus, John has returned to his passion: designing and building the best possible loudspeakers within his strict quality criterion. Having always valued music over the equipment, John nevertheless believes that the Axis VoiceBox range of loudspeakers exceed his mandate of pure excellence in music reproduction. In 1984 Brad Serhan founded Orpheus Loudspeakers, a company that, based on high performance yet affordable products, grew to become one of the leading speaker manufacturers in Australia. After selling Orpheus Loudspeakers, Serhan has been in high demand as a consulting and freelance designer to a number of high profile Australian manufacturers and has been responsible for several highly successful designs – both critically and commercially. Now, Serhan brings his comprehensive experience and highly-tuned engineering skills to Axis Loudspeakers.